The University of Central Arkansas in Conway has started an entrepreneurship support effort with the help of Startup Junkie Consulting and the nonprofit, Community Venture Foundation, both of Fayetteville. The Conductor initiative is sponsored by the university and “will focus on delivering mentoring, counseling, training, capital readiness and technical assistance to startups, small businesses and emerging investors in central Arkansas,” according to a UCA press release. Conductor will be supported by the Central Arkansas Venture Team, led by Jeff Standridge. He is retiring Nov. 30 after 18 years at Acxiom, where he now serves as vice president of audience solutions, to focus more time on Conductor, the Central Arkansas Venture Team and other business initiatives. Former Arkansas Regional Innovation Hub director of operations, Kim Lane, will serve as Conductor’s chief operations officer. UCA is also a partner of the Hub. The CAVT is a group of executive consultants, coaches, area leaders and experts who will provide one-to-one consulting. Conductor will also offer a UCA entrepreneurship club and a wide variety of programming, including pitch contests, startup weekends, founder breakfasts, angel association meetings and a speaker series. Standridge has been involved with the concept of starting such an effort since he was chair of the Conway Chamber of Commerce in 2013. 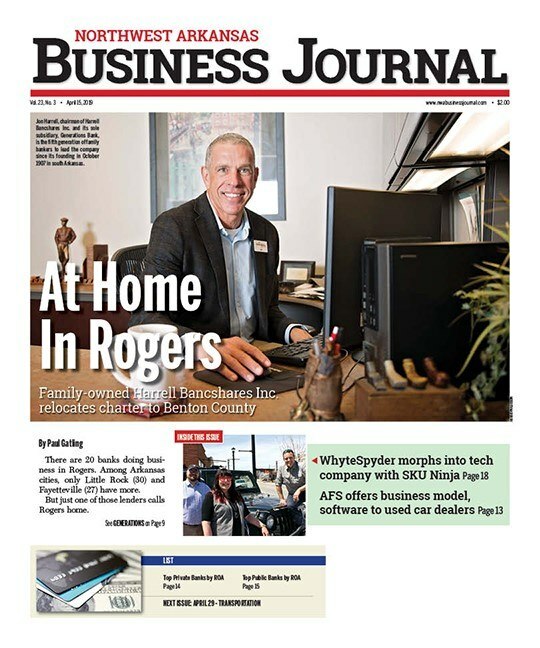 At the time, most efforts to grow the entrepreneurial ecosystem were in Little Rock or Northwest Arkansas, and Standridge was among a group of people who thought Conway had unique assets to offer as a potential entrepreneurial hub. The Startup Conway Steering Team was formed and for six months it investigated the situation and “found that entrepreneurs consistently said they needed expertise, an ecosystem that brings training events, sort of a network, and they needed access to capital,” Standridge said. He helped tackle the funding issue by co-founding Cadron Creek Capital in January 2015 and has so far raised $1.5 million to invest in central Arkansas companies. Also early in 2015, UCA commissioned Startup Junkie Consulting to perform an assessment of its assets and the best way to deploy them. UCA President Tom Courtway said this an important move for the school.